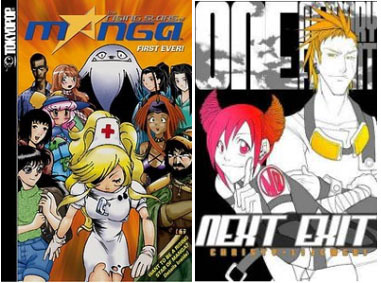 My History with Manga & Comics is a series of blog posts that explore the artists and works of art that have directly inspired my love for drawing and creating stories through comics. Disclaimer: The art featured in this post are not made by me and can be credited to the respective artists. I’m coming up to my first year anniversary of blogging! In the interest of transparency, I thought it would be fun to talk a little bit about my social media plan throughout last year and see what works for me and what doesn’t. I’ve been looking into building a platform on the web ever since I discovered the power of webcomics and I wanted to do everything I could to ensure a successful book launch for Polterguys. Polterguys Pages 32-37 are up! The good news is this round of updates finishes up Chapter 1 of Polterguys and Bree finally gets to meet her new housemates! Well, sort of. It gets even more interesting from here so I do hope you stick around.